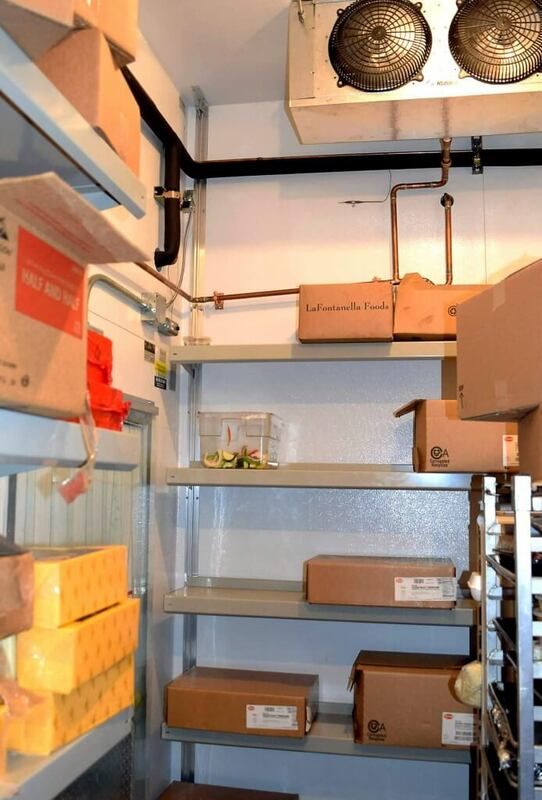 Walk In Cooler Shelving by E-Z Shelving Systems, Inc.
Take a look at these E-Z walk-in cooler shelving installations. 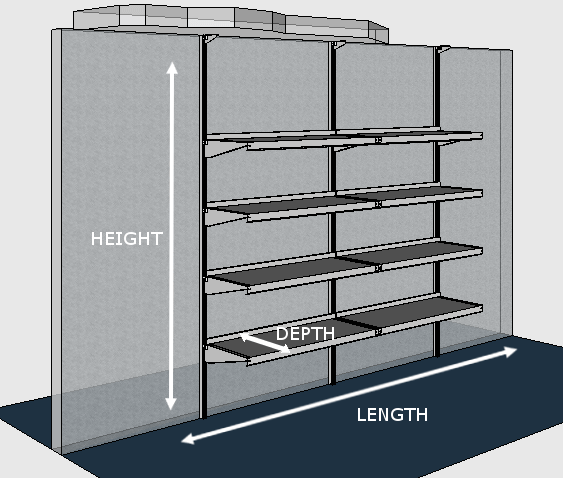 Planning your own design is as easy as measuring your cooler/freezer dimensions and calling us at (800) 353-1331. 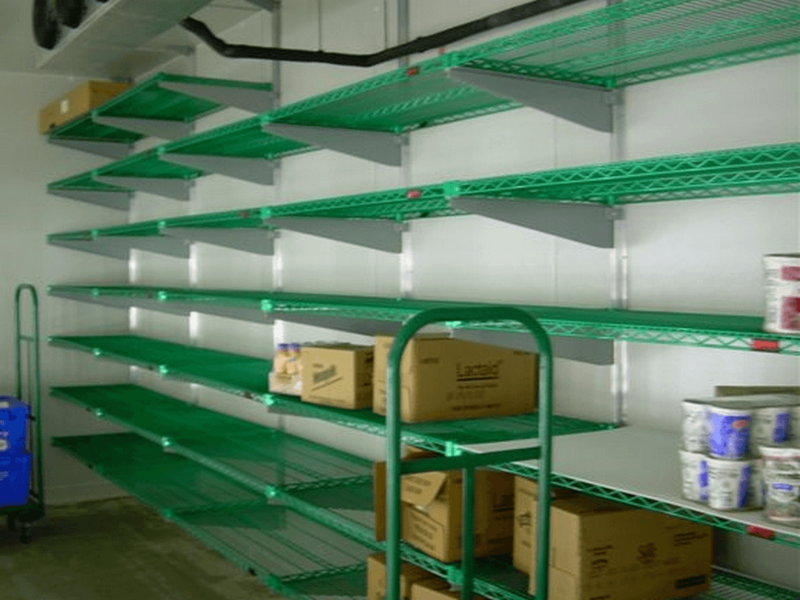 Or go here to design your shelving online. Heavy-duty, fully-adjustable, 100% open-front shelves. 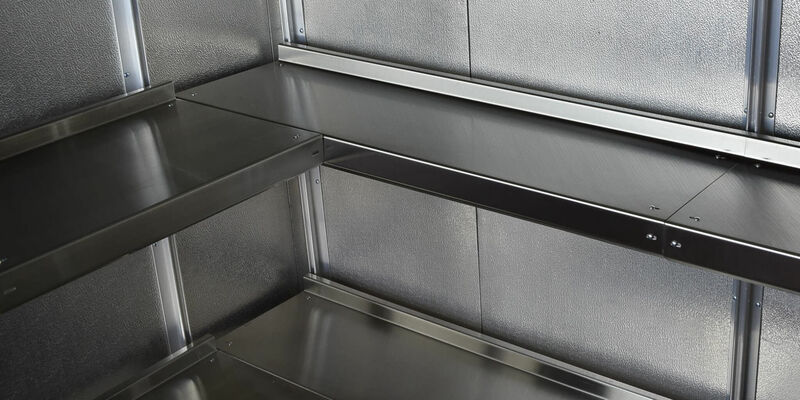 Stainless steel brackets and shelves with wall-mounted aluminum uprights. 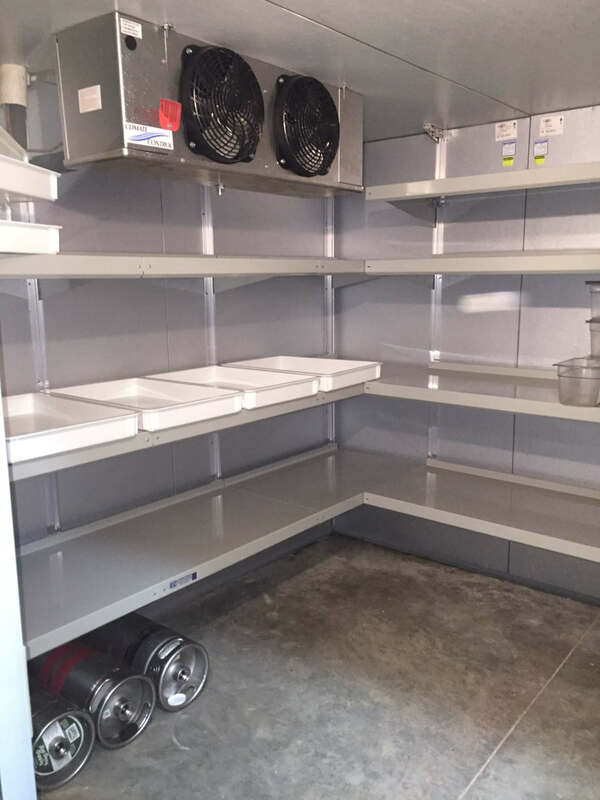 An NSF-listed powder coat finish for a high-volume pizzeria – cooler and freezer. 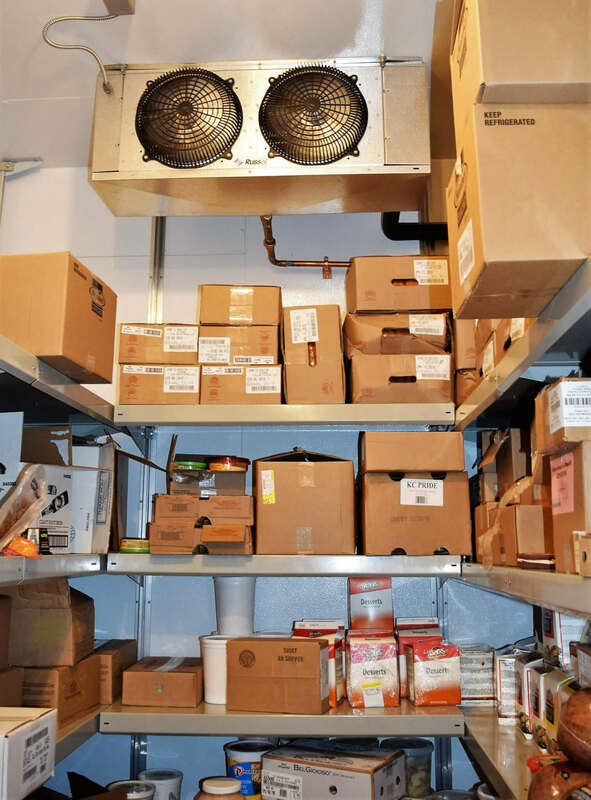 Floor-to-ceiling shelving for a 12′-high deli cooler. A detailed view of how we work around walk-in cooler elements. 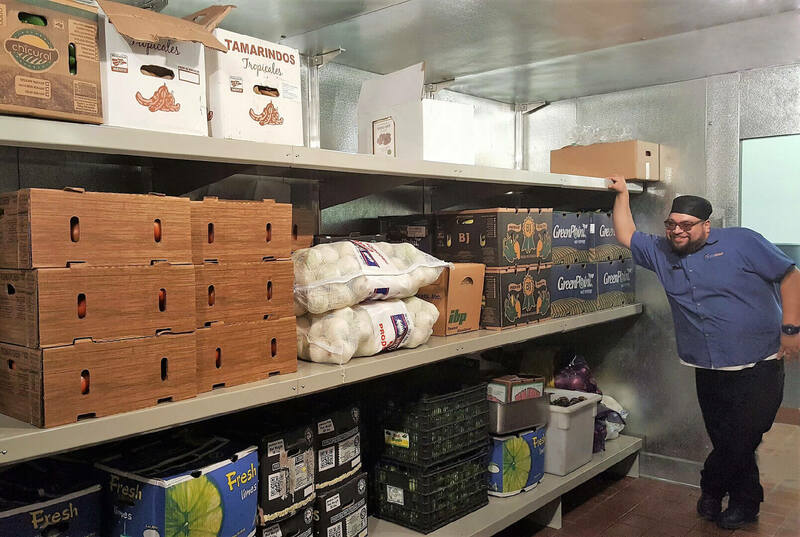 With no front support posts, or height restrictions, you can load more items in your cooler. 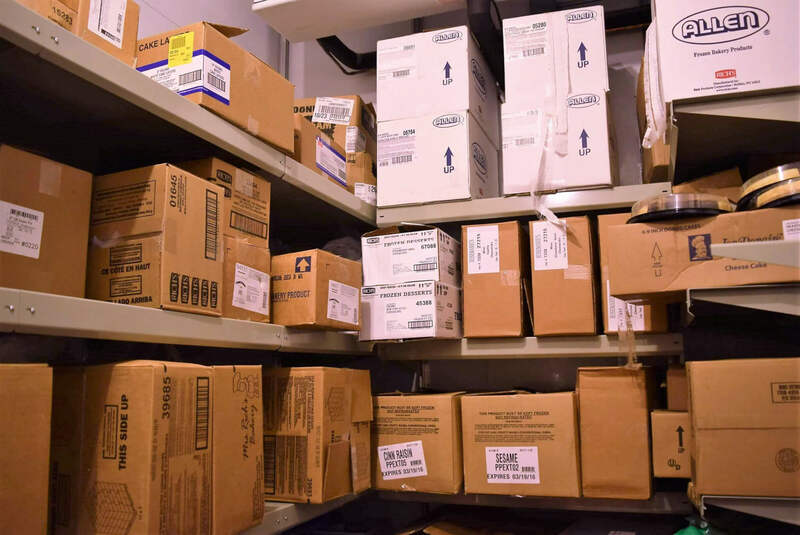 Notice the extra shelf tier providing storage above the mobile racks. Design options are unlimited. This design leaves the floor free for pallets. E-Z makes special Knob Brackets to accommodate wire shelves. Better than traditional wire racks, right? 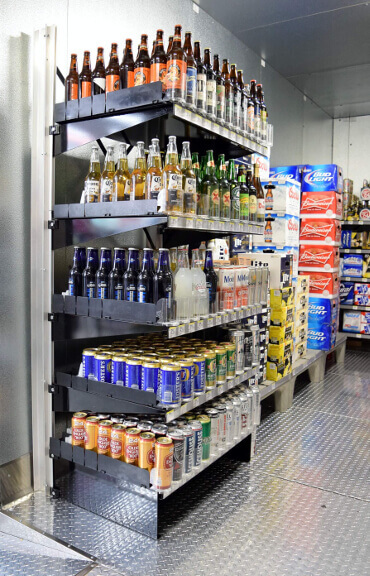 A freestanding shelving unit in a beer cave. 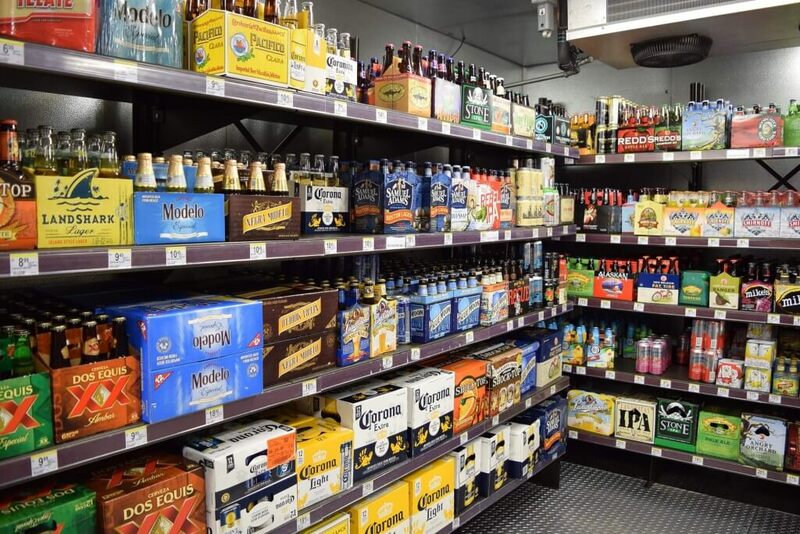 E-Z provided a custom powder coat color for this Las Vegas Strip beer cave. 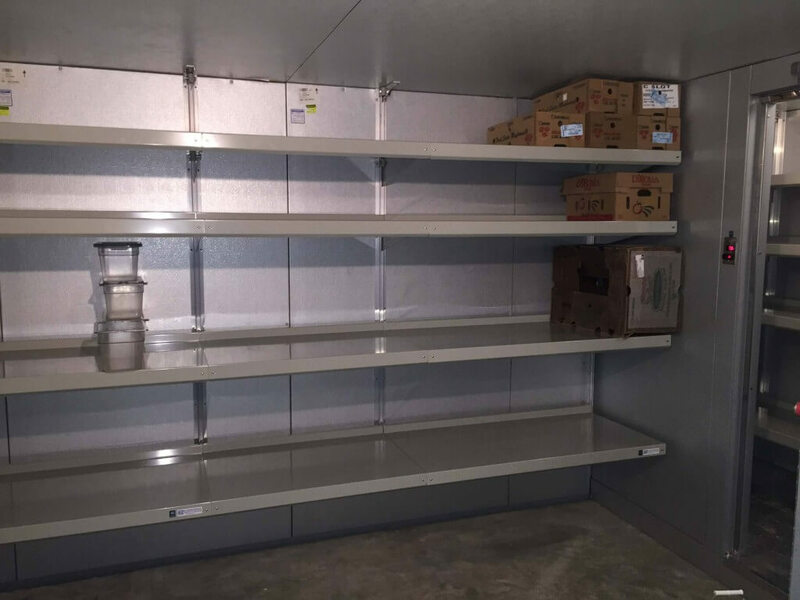 E-Z features NSF-listed shelving components in aluminum, stainless steel, NSF-listed powder coat, and galvanized shelving for dry storage. Some corner detail. The floor is free for cleaning and visual inspection.